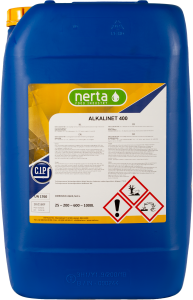 NERTA ACINET 200 is a heavily concentrated, low foaming acid containing cleansing agent with a strong disinfecting effect, suitable to clean and decalcify C.I.P.-installations. ACINET 200 is especially suitable to remove lime, iron deposits, proteins, sugar, etc. 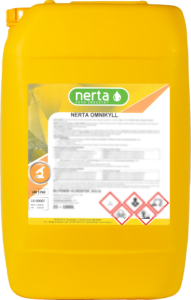 It is a weakly foaming cleaning agent, so it can be used to clean pipes where lime and other deposits can disturb a good operation. It is an excellent cleaning agent for C.I.P.-installations in the dairy industry and the bottling business. 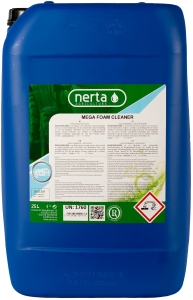 It can be used to clean and descale plastic crates and pallets in the food industry. 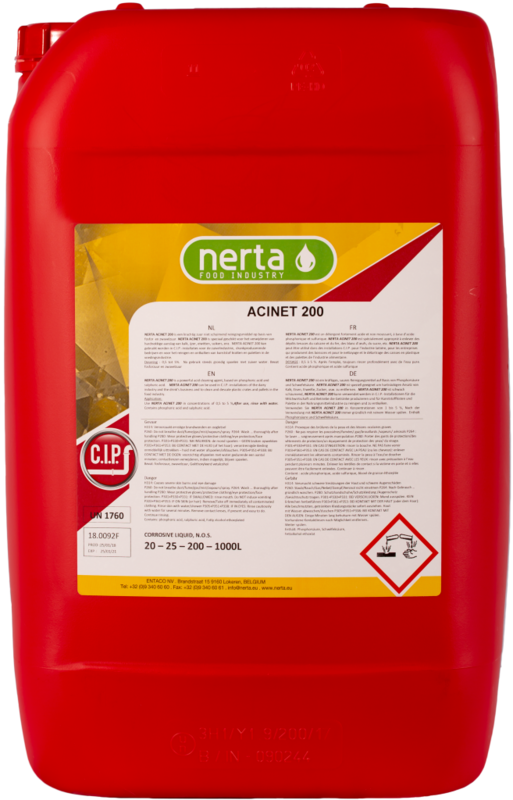 ACINET 200 can be used on every acid resistant surface e.g. stainless steel, acid-resistant enamel, etc. For use on aluminium, copper, chrome and other soft metals, you have to be careful and test it first on an insignificant spot.